Under the tutelage of music teacher Leslie Thornton, third graders at Everett Elementary in Lake Forest interpret local history in music class. 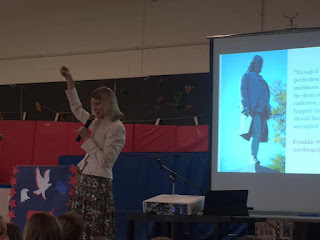 For the past five (going on six) years, Mrs. Thornton's local history enrichment program has culminated with a third grade Orffestration performance and a Giants in the Park author visit. The unit is multi-faceted. Through performance art, students encounter giants of history and literature, the heroes of our Chicago forefathers. Everett's "A Walk with Giants" program simulates the unveilings of Lincoln Park's Abraham Lincoln (1887), Benjamin Franklin (1896), and Ulysses S. Grant (1891) monuments. Small groups play out undraping ceremonies which feature soliloquy rhymes for the parts of Lincoln, Franklin, and Grant. These local history reenactments are set to music. To be more accurate, the performance is an original Orffestration composed by Leslie. Leslie Thornton has extensively studied the Orff method of music instruction, which seeks to engage the mind and the body through singing, dancing, acting and the use of percussion instruments. 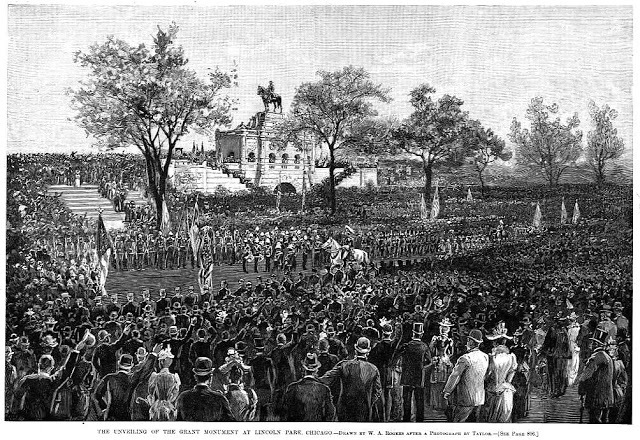 Major components of Everett's Orffestration include a statue chant written by Mrs. Thornton and an harmonious backdrop of rhythms and sounds courtesy of third grade play on pitched percussion: xylophones, metallophones and glockenspiels; and on unpitched percussion: tongue drums, congas, temple blocks, and a variety of woods, metals and shaker/scrapers. 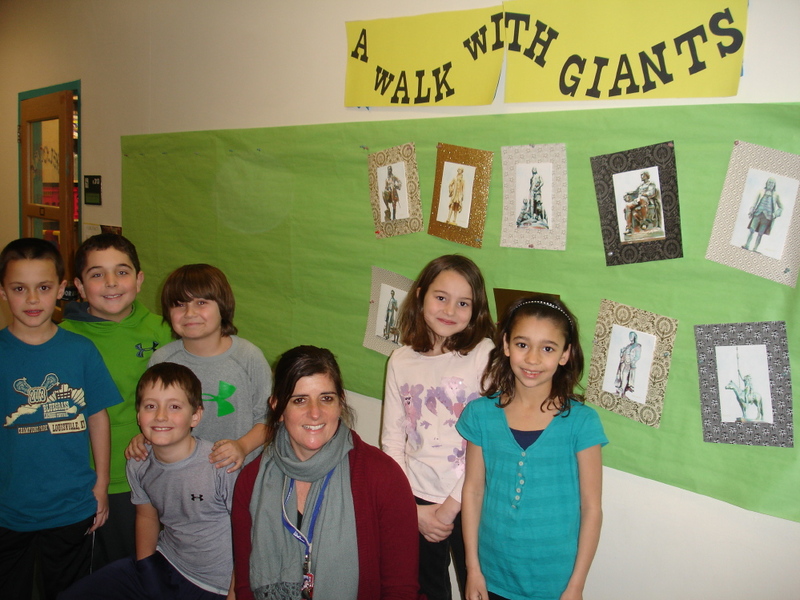 As in many Chicago area schools, Everett third graders study Chicago history, so "A Walk with Giants" is designed to connect art and music to the students' history curriculum. The project's stated goals are "to enrich our knowledge of Chicago's cultural and physical history and to appreciate the art and music heritage that our big city landscape has to offer." 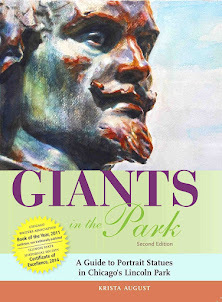 All this learning, team work and fun concludes with a Giants in the Park slide presentation highlighting important history memorialized by the bronze giants in Lincoln Park. Students are introduced to the oldest park monument (an Indian group), the monument most significant to Chicago's history (LaSalle), the most important Lincoln Park statue (Lincoln), the most prominent (Grant), and a monument with a forgotten message (Franklin). I particularly look forward to the great comments, insights, and questions that the third graders have to offer.